We’d never say that romance is something to scrimp on, but we also don’t believe that it should cost an arm and a leg to show your heart. These alternative choices for a Valentine’s break all offer an understated romance, plenty for lovebirds to see and do, and come in with some very reasonable prices, even over Valentine’s weekend. Prague is up there with Europe's most beautiful cities. The Old Town is laden with fine baroque buildings, cobbled alleys and gothic churches. 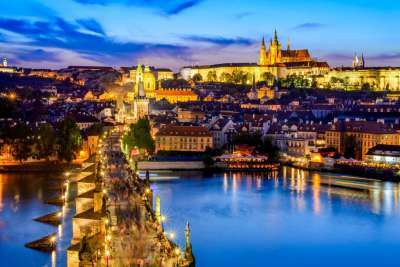 Charles Bridge offers views of the Vltava River between the famous statues, and magnificent Prague Castle overlooks the lot. Prague's also a highly individual city. Expect to cosy up in quirky cafes and visit Bohemian galleries. 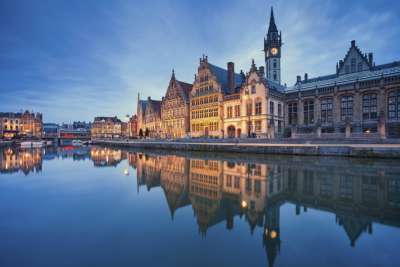 A cheaper alternative to Bruges is the Belgian port city of Ghent. It offers a similar experience of canal lined streets, and well-preserved historic architecture. As a university city, it draws a youthful Belgian crowd, but tourists are still remarkably thin on the ground. This is despite a wealth of attractions including local chocolatiers, regional abbey beer, castles and cathedrals, and all just a simple 30-minute train journey from Brussels airport! 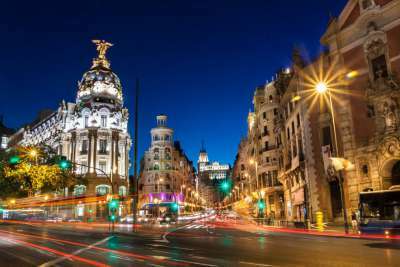 Spain's capital comprises of wide plazas, renowned museums and historic palaces mixed in with modern cosmopolitan culture. It's also a city buzzing with energy, whose residents are passionate about eating, drinking, dancing and entertaining. If that sounds like something you and your other half would enjoy this Valentine's Day - time to get packing. Located up in the Baltic, Vilnius is a frosty winter wonderland at this time of year. The Lithuanian capital's compact Old Town is where you should head to stumble in and out of cosy cafes and bars, passing the countless Orthodox churches and cobbled alleyways as you go. If you're looking for something extra special to do, the TV Tower is a monument to the city's history, and also offers a revolving restaurant with wonderful views. 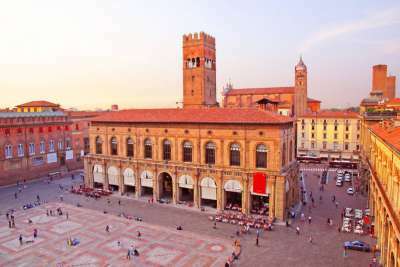 Warm terracotta architecture, a wealth of history and divine food - Bologna has all the essentials of a romantic break. And let us make it clear, the food here is really something to feast on. Other than being able to try an authentic bolognese in the city that invented it, Bologna is also famed for mortadella sausage and tortellini. Plan for many delicious meals in this foodie's paradise. One of the gems of southern Norway (and yes, it has a lot of competition there), Bergen is utterly charming. Think Arendelle from Frozen. It was inspired in part by this picturesque town with its brightly coloured log houses (which are a protected UNESCO World Heritage Site). 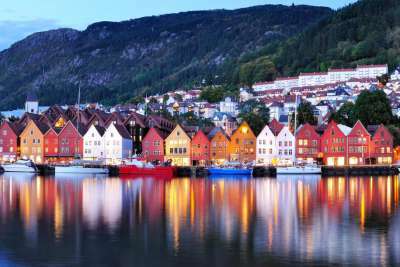 Bergen also has a reputation as a Norwegian cultural capital so you can delve into its thriving music scene. Portugal's capital is set over seven hills and characterised by steep streets, lined by limestone buildings and traversed by canary-yellow trams. 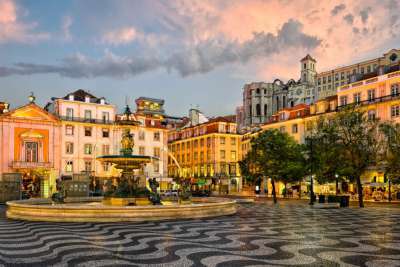 In addition to having one of the mildest climates of any European capital in February, other Valentine's draws include sweeping Atlantic sea views, and the intimate cafes that hide in the winding alleyways of the old districts of Mouraria and Alfama. 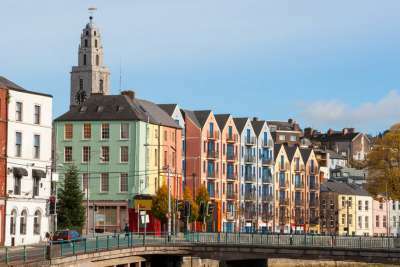 Ireland's second city is a marvellous mix between old and new. Hipster coffee haunts mingle with traditional pubs, the historic port has been redeveloped into a modern waterfront, and the grand Georgian avenues are dotted with modern architecture. But one thing that's universal is the proud welcome you'll receive. Cork would make a wonderful Valentine's weekend of friendly chatter and hearty food in local pubs. 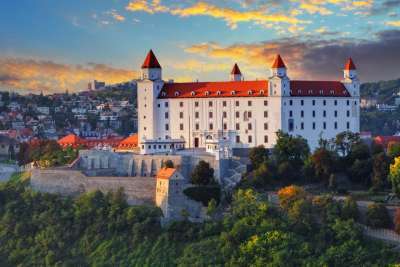 A popular stop on Danube cruise itineraries, the Slovakian capital has yet to establish itself as a city break location like its neighbours Vienna and Budapest. However, with a compact Old Town of 18th-century buildings hiding quaint cafes, and a hilltop castle overlooking the river, there's more than enough here for two loved-up explorers to discover over a weekend. France's second city is still establishing itself on the city break scene, following a successful stint as the European Capital of Culture in 2013. 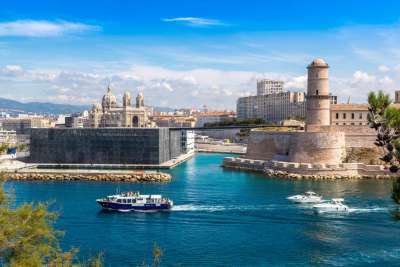 With the new urban projects, Marseille feels more cutting edge than Paris, but you can still uncover the city's maritime history at bustling Vieux Port (Old Port) and there are all the chic boutiques and wide boulevards you'll need in the République district.